A new collaborative research program pairs oncologists who treat childhood and adult sarcomas with veterinarians who manage the same cancers in canine patients. The ultimate goal, says director Cheryl London, DVM, PhD, is to speed up the pace of translational research discoveries and new treatments for sarcoma, a diverse group of cancerous tumors that occur in soft tissue or bone. 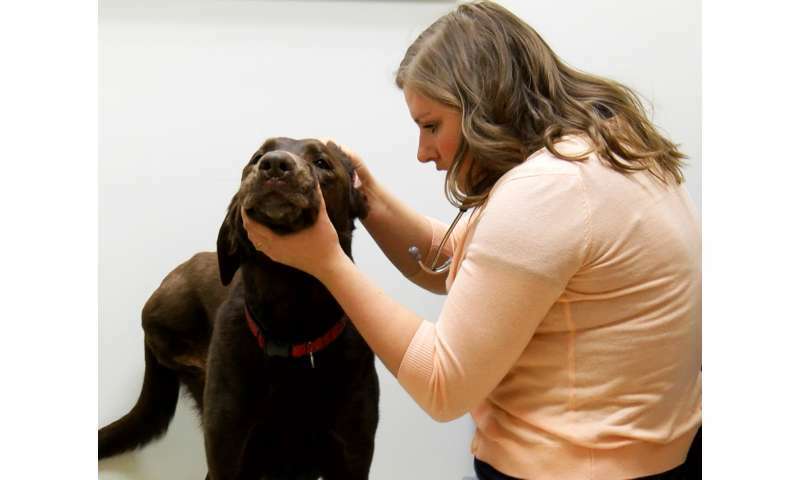 Established in 2016 by The Ohio State University College of Veterinary Medicine, the Comparative Oncology Signature Research Program is a partnership between the vet school and The Ohio State University Comprehensive Cancer Center - Arthur G. James Cancer Hospital and Richard J. Solove Research Institute (OSUCCC - James) that integrates nearly 40 scientific investigators from Ohio State's colleges of medicine, pharmacy, nursing and veterinary medicine along with researchers from Nationwide Children's Hospital. "It can take up to 10 years to fully develop and test drugs for human application - and 50 to 90 percent of the oncology drugs that make it to human testing fail because the most common testing model (a mouse) is very different than a human," says London. "Dogs are a natural analog to human sarcoma because the diseases are so similar across the two species. This represents exceptional potential to accelerate the drug discovery process for the benefit of both our canine patients and human patients." An estimated 15,000 individuals are diagnosed with sarcoma annually, with roughly 3,000 of those cancers occurring in the bone. About 800 of those cases are osteosarcoma, a rare form of bone sarcoma that typically occurs in youth under age 18. Dogs experience a high rate of sarcoma, particularly osteosarcoma with over 10,000 cases reported per year. "We haven't had a new drug in osteosarcoma in over 30 years because the disease is rare. The cost of researching, developing and bringing a drug to market in the United States is too prohibitive for pharmaceutical companies to make that type of investment for a rare disease," says Joel Mayerson, MD, an oncologic orthopaedic surgeon who specializes in sarcoma at The OSUCCC - James. "Unfortunately, while surgery can be curative for many patients it isn't for everyone. Without new drug therapies effective at controlling the cancer, survival rates have remained stagnant." 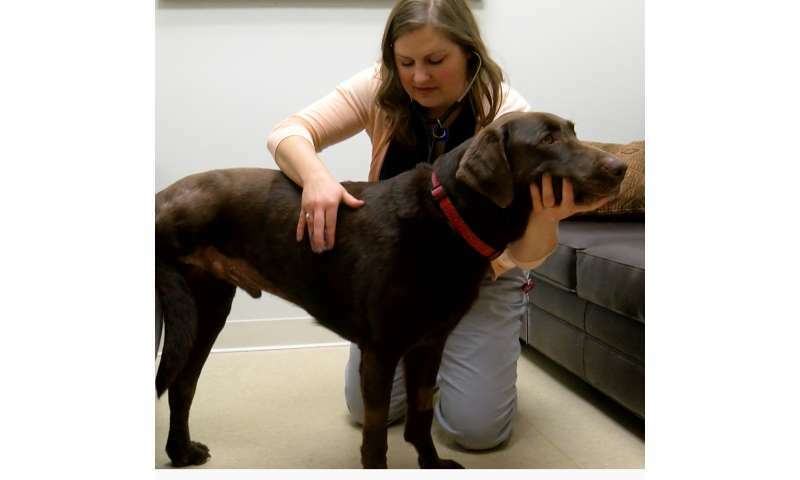 Clinical trials are actively underway through the Comparative Oncology Signature Research Program, including two canine clinical trials looking at novel therapies to treat the spread of osteosarcoma. If the therapies prove effective in dogs, they will move on to human testing. In addition to providing clinical trial research support for new treatment approaches, the Comparative Oncology Signature Research Program is focused on research to identify the key genetic and molecular abnormalities of sarcoma; developing advanced imaging tools for improved diagnosis and pre-surgery imaging accuracy; and modern surgical techniques for achieving optimal cancer control and preserving anatomical function. Can dogs help us develop better cancer treatments?